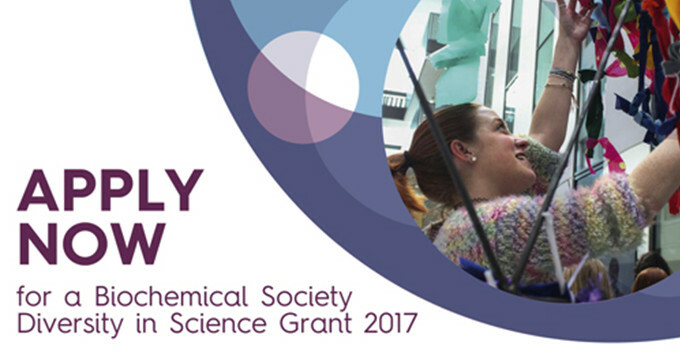 Help create and support a representative scientific community with the Biochemical Society’s Diversity in Science Grants. The Biochemical Society Diversity in Science Grants scheme provides grants of up to £500 to individuals, groups, charities or not-for profit organisations to support and address issues relating to diversity in science. In exceptional circumstances, at its discretion, the Society may also award up to £1,000 for individual projects. Whether you are planning an event or activity to encourage diversity in science, or conducting research into the lack of representative diversity within the science sector, make sure you apply for the grant! Find out more about the grants.